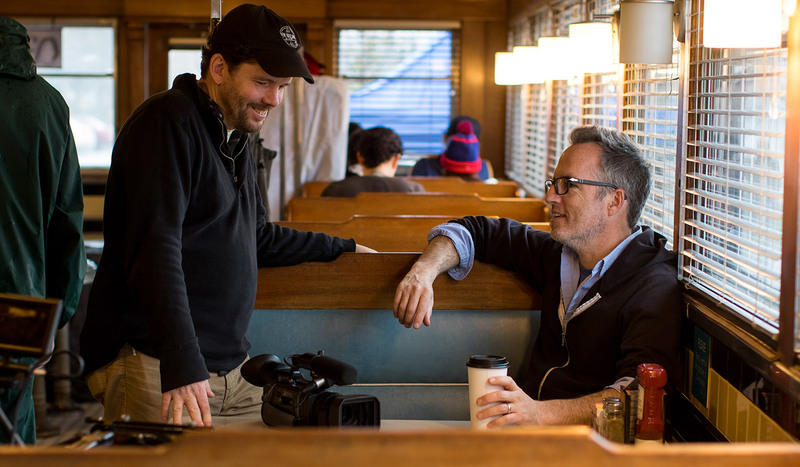 Film producer Scott Taylor of Brunswick, left, chats with director Kyle Rankin of Los Angeles while the lighting crew sets up outside the Miss Portland Diner during production of "The Witch Files" on Monday. Shooting for the film began over the weekend at Morse High School in Bath. Rankin is a York native.